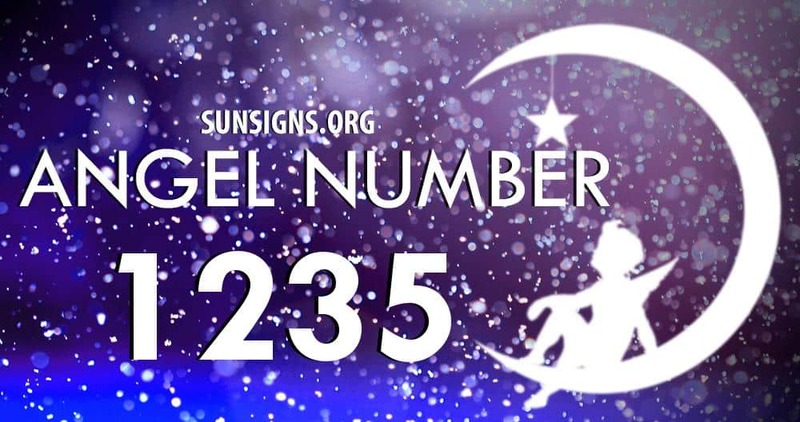 Angel number 1235 is a message saying that the life choices and changes you are making in your life, or considering making, are the right ones for you and your journey and your soul’s mission. It is there to assure you that the changes you’re going through are positive. The angel number 1 is a reminder that we, as a whole, are all connected with our thoughts, and that it is important to be aware of your own. Number 2 is giving off vibes of cooperation and duty. Also trust that your angels are by your side, for they are helping you pave your path. Number 3 is encouraging you to be engaging within your community, and to embrace and spread love to those around you. Angel Number 5 is telling you that you will soon be faced with some life changing options. These options will have the potential to make your life better and more positive, but it is up to you to face these options with an open mindset. Number 12 is to tell you not to be hindered by old habits and past experiences. Stay on a positive path and use your natural skills and talents to get the utmost benefit from being you. 35 is letting you know that good changes are down the road for you, and if you are currently wondering what your life purpose is, it may come into light soon. Once these changes appear to you, new endeavors and opportunities will present themselves to you. Understand that these changes will greatly benefit you and your life in the long run. Number 123 is a steps number (1..2..3), which represent the steps an individual takes in their own personal lives. If you are having any doubts or fears, listen to your instinct and intuition for guidance, and hand over your problems to your angels. 235 says you should continue to have faith in the Divine guidance from your guardian angels. The changes and choices you are facing will be good for you, and don’t give up faith that your angels are helping you make these tough choices. Learn to accept change, because it is good for you and your life. Angel number 1235 shows that while change can bring on fears or doubts or the unknown, you can trust that these changes will bring long term rewards and benefits. Have courage to take up current opportunities and trust that change will be an important part in your divine plan.